Laws of Motion in a Cartoon Landscape is the result of more than five years work and contains a full realised animated theory proposing the world is best now understood as a cartoon. The film examines the formation of ‘laws’ within cartoons as a way of making sense of the world we are now within, a space where anything could potentially happen. Made from hundreds of cartoons clips the work adopts a part-lecture, part-documentary, part-conspiracy theory tone, with the artist rendered as a cartoon avatar in order to narrate his theory. Laws such as “Everything falls faster than an anvil” and “Anybody suspended in space will remain in space until made aware of its situation”, are mixed with Greek myths, philosophy, politics, physics and the history of animation to create an hour long exploration of the world as an irrational space where anything can happen, yet certain things reoccur, and in which a new set of Laws have formed. The Golden Age of animation proved a premonition of the world we now find ourselves within. 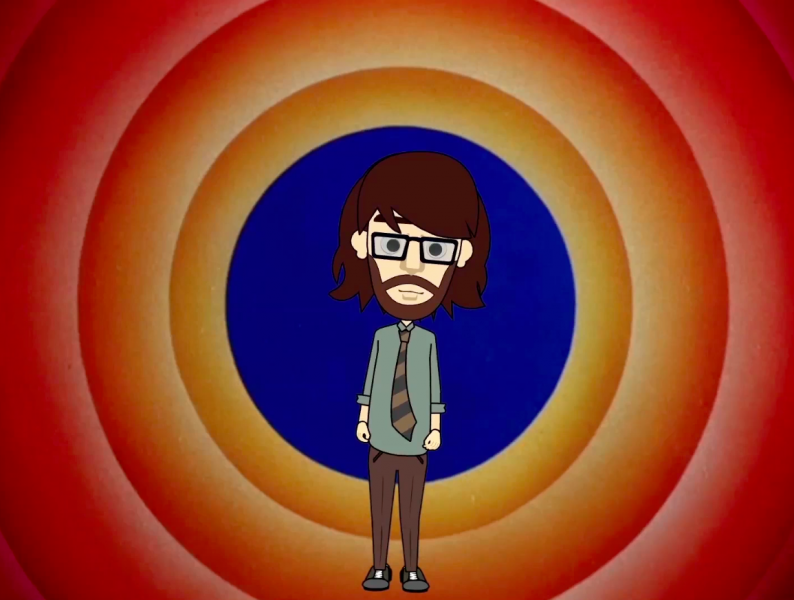 From Aristotle to Newton to CERN, from Google to the 2008 banking crash to Trump, the film splices speculations with animation history of the work of directors such as Tex Avery and Chuck Jones to look at how the physic and ethics of the cartoon world might help us understand the world today, and how we might navigate this new terrain. For its presentation at the Cinema Museum the upstairs auditorium is showing the updated two-screen hour-long animated film, on a loop and playing every hour throughout the day. 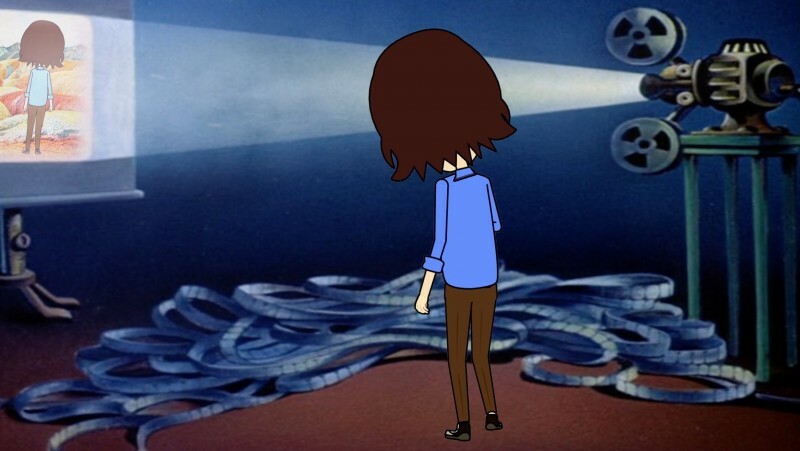 Downstairs in the small cinema are a series of recent animated short films; each the length of a cartoon, exploring aspects of the Cartoon Landscape in more detail. 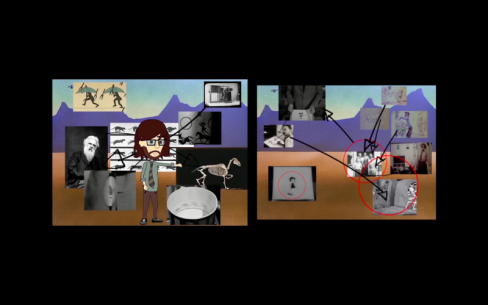 These include an exploration of Scooby-Doo houses set to Freud’s Interpretation of Dreams, and a walk through Wile E. Coyote & Road Runner landscapes, combined with fragments of Wordworth’s Prelude narrated by the artist’s ‘last man’ animated avatar. The final cartoon short is “set in 2016”, a point taken as the start of the “Cartoon Landscape”, in which the animated cartoon artist finds herself wandering inside memes and unlikely moments from recent viral internet history. The exhibition was first seen at Glasgow International in 2016, and has since been shown at Venice Biennale (2017), Lancaster Arts (2017), Kunsthal Viborg, (2017), Pinchuk Art Centre, Ukraine (2017), Front International, Cleveland, USA (2018), Museum of Contemporary Art Toronto (2018). This first London presentation is generously supported by Lancaster Arts. Andy’s website is www.andyholdenartist.com, where you can find out more about this exhibition, as well as images and clips for previous related exhibitions. This is a free event but in order to cover the costs associated with running the event a minimum £3 donation is suggested.